Even though whiplash injuries are a common result of traffic accidents and car crashes, they still never fail to generate difficulties for victims in need of compensation for medical treatment, rehabilitation, and lost wages. Despite the frequency of this type of injury there are still many unknowns, and the popular conception of whiplash is filled with inaccuracies and outright fallacies. Treatment strategies for whiplash vary to some degree, but all involve a relatively long period of convalescence and rest, including time away from work. Obviously, lengthy treatment and lost wages combine to have a shattering effect on a victim's personal finances, and what an insurance company or an opposing attorney might characterize as a minor injury can set the stage for financial ruin. Because of the peculiar nature of whiplash injuries, accident victims should consult with a Colorado personal injury attorney immediately to explore their options for compensation. Even if the accident appears minor and no lasting injury is apparent, whiplash symptoms can arise unexpectedly and require costly treatment, as well as result in lost wages. 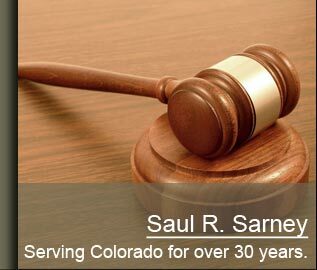 Experienced Colorado personal injury attorney, Saul R. Sarney, can provide advice regarding how best to protect the rights of all involved. Call today for a Free Initial Consultation. 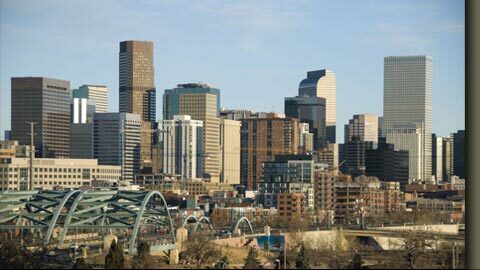 If you have been injured in a car wreck in Denver, Colorado Springs, or anywhere in the State of Colorado, contact Denver personal injury lawyer, Saul R. Sarney, for a FREE INITIAL CONSULTATION. To speak with a Colorado whiplash injury lawyer about an accident or the loss of a family member, please call our office at 303-759-3300 or contact us online. We do not charge a fee to discuss how we can help you meet your legal needs.